Derek is an inspiring keynote speaker for conferences, training, meetings and special events. Make your event the best one yet! To reserve Derek for a keynote speech or a training program, make sure to click Contact Us. Derek Clark is an inspiring and exciting opening / closing keynote speaker. He delivers a message of hope, motivation and determination to push through adversity. Who is Motivational Keynote Speaker Derek Clark? Derek Clark has an incredible story of inspiration. As a survivor of brutal child abuse, rejection and abandonment at age five, he was placed into the foster care system where he would stay for thirteen years. His special keynote speeches motivate employees and managers to overcome limited thinking and become solution focused thinkers. He is an international speaker, author of seven books and recently became an internet sensation for his viral video Rapping Dad with over 250 million views. 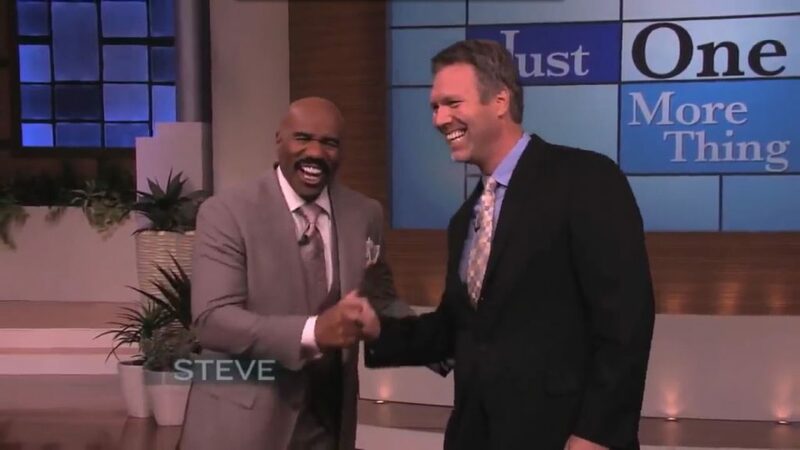 Click Image To Watch Derek Clark On The Steve Harvey Show! Best Motivational Video from Derek Clark! Watch Why You Shouldn’t Let Yesterday’s Pain Kill Your Strength Today. Motivational Speaker Derek Clark known as the ” Rapping Dad ” Has 150 Million Views on His Video! The Road to Success is Filled With Disappointments – Need Motivation? Can Your Dad and Kids Do This? The Awesome Influence of a Dad Who Grew Up In Foster Care! The Loving Side of Foster Care – Because of a Social Worker and Committed Foster Parents, I Thrived. Dad Dies, Mother Commits Suicide. Daughter’s Are Left Alone and Never Give Up! How Abuse, Rejection, Foster Care & Death Inspired Me To Write This Amazing Redemption Song! Inspirational Worm Story. We All Need to Be Rescued. No Matter What You’ve Been Through, You Still Have Value. This is The Most Amazing Poem!